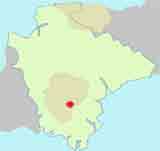 Hembury woods lie between Buckfastleigh and Dartmoor. 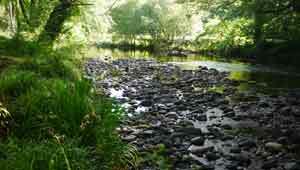 Two delightful walks through this ancient oak wood and along a most attractive shallow river. Access is best via Buckfast Abbeyfrom the A38. Drive past entrance to the abbey then turn right into Higher Mill Lane. At the end turn left into Grange Road. 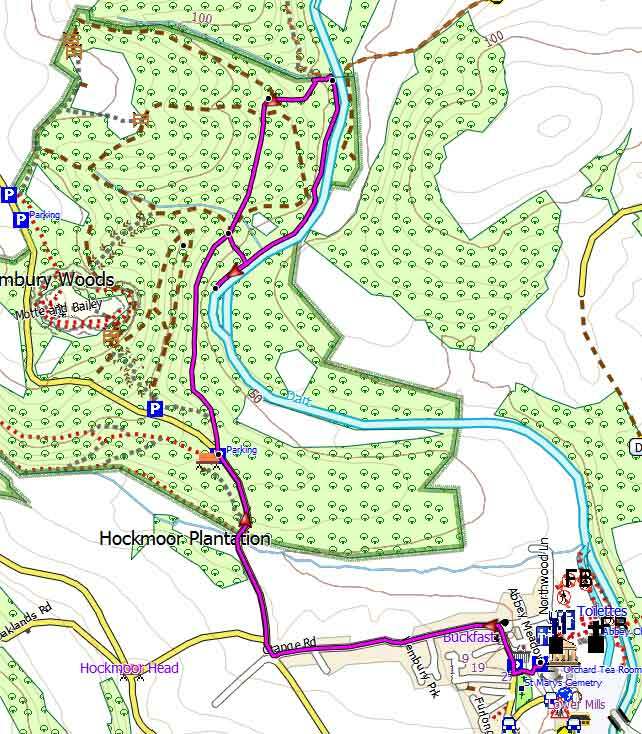 Continue until a T junction and turn right then almost immediately right again - it's signed Hembury Woods. Add 2 x 1 mile to your walk if parked at the Abbey. There are very few places where the walker can almost 'dip' into the Dart and be truly spellbound by the magic of this most attractive river. Salmon have been known to swim up the Dart since the middle ages. 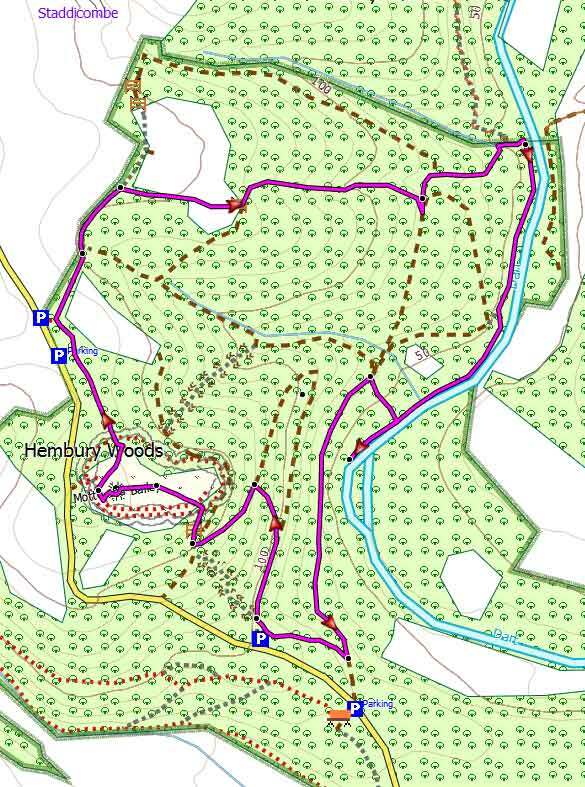 This is fairly easy walk although some paths can be uneven. Various popular and scenic walks to explore the beautiful area around Buckfast Abbey. 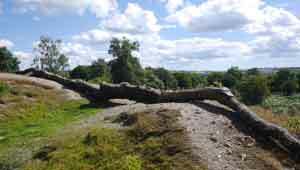 Hembury Castle ( signed 'fort') is really a neolithic earthwork - a great deal of cutting tools,hammers and sling stones were found . It is one of the most serene forts you can imagine ,with grass carpeted paths flanked by lush fauna,a secret well kept! This hill fort is not to be confused with Hembury Fort near Honiton. The walk stars from the main Car Park on Right - see map. There is a steep climb to the entrance of the castle and paths are well maintained.